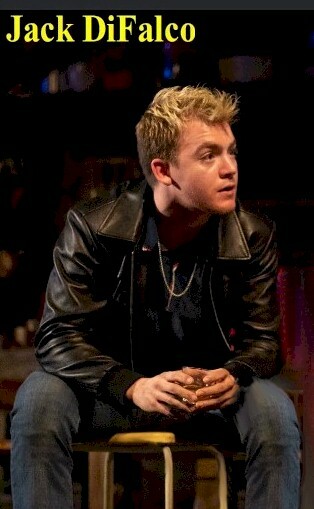 Jez Butterworth’s The Ferryman is one of the most acclaimed plays of this or any season. In its London West End debut, it won numerous awards, including the coveted Olivier for Best Play and director Sam Mendes. In its Broadway transfer, playing at the Bernard Jacobs Theatre at least into July, the play has over 25 Best Play picks and a New York Times’ Critics Pick. 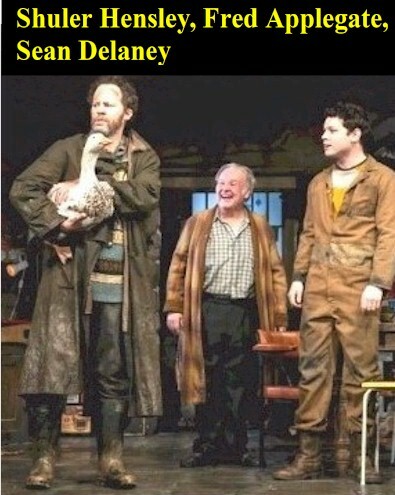 Needless to say, it’s a front runner for a Tony nomination for Best Play and Director. Mendes is an Oscar and Tony winner—Best Picture, American Beauty; 1998 revival, Cabaret. 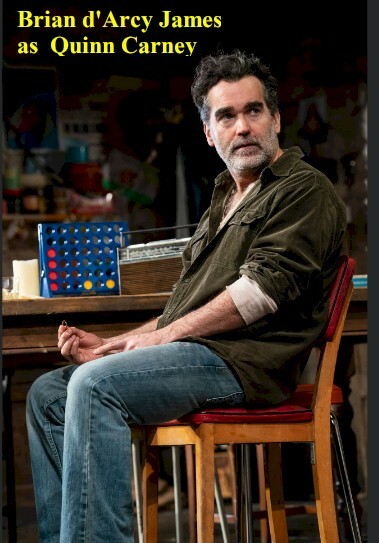 Butterworth was Tony-nominated in 2011 for Best Play for Jerusalem, his Broadway playwriting debut, which starred Tony winner Mark Rylance. 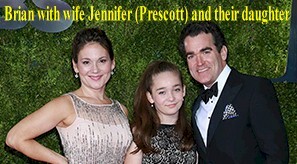 One of theater, film, and TV’s most talented and well-regarded actors, Brian d’Arcy James, is now starring as Quinn, the head of the large Carney farmhouse. The setting is rural County Armagh, Northern Ireland, 1981, where preparations are being made for the annual harvest of 50 acres of wheat and barley and the feasting that will follow. There’s laughter, song, and dance—and the killing of a goose for the feast that lies ahead. Quinn’s wife Mary, is played by longtime stage (Cat on a Hot Tin Roof, The Lion in Winter) and TV favorite Emily Bergl. Holley Fain (Roundabout’s 2012 Harvey) is her widowed sister-in-law Caitlin; The out-sized family—a cast of 21, a rarity for a play—includes Aunt Maggie Far Away (the revelation of her nickname would ruin the fun), portrayed by celebrated actress Fionnula Flanagan [Blair Brown steps into the role April 16]; cranky Aunt Pat, the irascible Ann McDonough; an English friend, adopted by the family, who’s been holding back on a secret for years, Tony and Olivier winner Shuler Hensley; spirited Uncle Patrick, Fred Appllegate (The Producers, Young Frankenstein); adorable and mischievous children aged from newborn to their 20s – which include a young actor to keep an eye on: Jack DiFalco, so fantastic in the recent Torch Song opposite Michael Urie, as Shane; a long-trusted priest, English actor and TV star Charles Dale; and friends from far and near who arrive to help. However, this year they’ll be interrupted by an unwanted visitor, Muldoon, played by film/TV veteran Ralph Brown in his Broadway debut. A sense of foreboding sets in due to the vengeance-obsessed conflict between Britain and Iron Lady Prime Minister Margaret Thatcher and IRA’s political arm, Sein Finn as imprisoned activists die of hunger strikes. The discovery of Quinn’s brutally-murdered brother creates a chain of events that races to a fierce, intensely gripping, and shattering climax. Brian made his Broadway debut taking over the lead role in 1993 of Mickey in Blood Brothers opposite Petula Clark’s Mrs. Johnstone. He followed with Lincoln Center Theatre and London’s Royal National Theatre/Nicholas Hytner’s exceptional revival of Rodgers and Hammerstein’s Carousel, where, incidentally, he met his wife Jennifer (Prescott) among a cast that included Audra McDonald. He received his first Tony nomination as Featured Actor for his portrayal of Sidney Falco opposite John Lithgow and Kelli O’Hara in Marvin Hamlisch, Craig Carnelia, and John Guare’s Sweet Smell of Success, a 2002 Best Musical nominee. 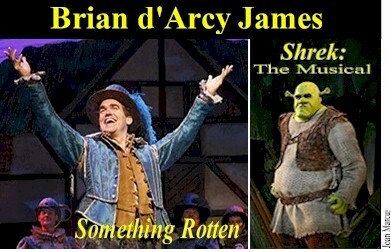 He was Tony-nominated for Best Actor for Karey Kirkpatrick and John O’Farrell’s 2015 Something Rotten, and David Lindsay-Abaire and Jeanine Tesori’s 2008 Shrek, which co-starred Sutton Foster. To create the character from the blockbuster film, he spent hours in make-up and and was, of course, totally unrecognizable. Brian originated the role of King George in Hamilton “which was such an incredible experience to be part of.” He received a 2001 Obie for his solo performance as a Dublin gangster in Conor McPherson’s drama The Good Thief for Keen Company. Memorable TV outings have been his 2013 role of Frank Houston, husband to Debra Messing, on NBC’s backstage musical drama Smash; and Netflix’s 13 Reasons Why, based on Jay Asher’s best-selling books. Recent films include last year’s First Man and the 2015 Oscar-winner Spotlight. One of his most memorable experiences was performing for President Obama and First Lady Michelle at 2010’s A Broadway Celebration: In Performance at the White House, which aired on PBS. 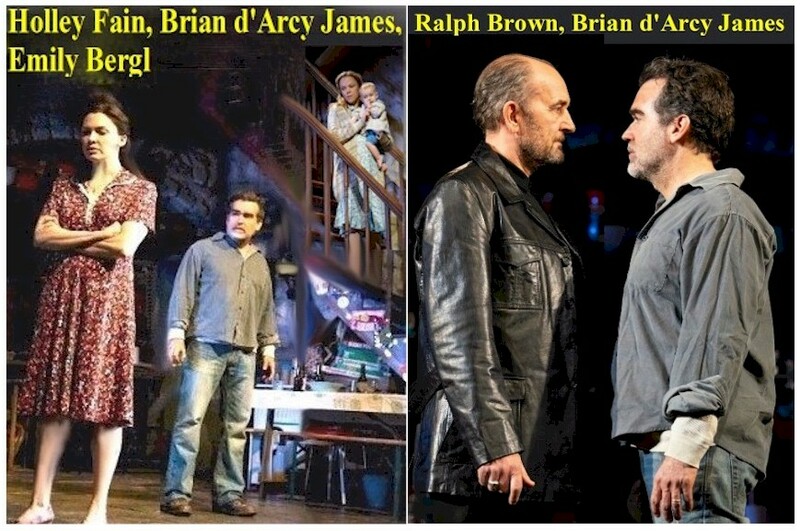 For more information on The Ferryman, go to www.theferryman.com; for much more on Brian and his upcoming films, visit www.briandarcyjames.com.